Proton Limited heads south to Mexico, and brings a great techno track to the stage from up and coming producer Teruel. This great energy builder will drop a floor to an infectious bounce with its tripped out sounds and hypnotic bell. If that is not enough, Balcazar brings an outstanding tech house remix of 20,000 Leguas bringing the funk to the mix and take the energy up with the rythms. 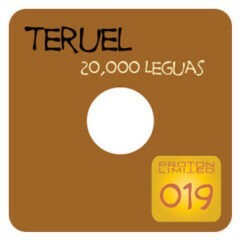 Solid release from Teruel, and we look forward to what else he has in store in the not so distant future.